Our shop and my polymer clay cupcakes are featured in the November 2010 issue of Working Mom Magazine! 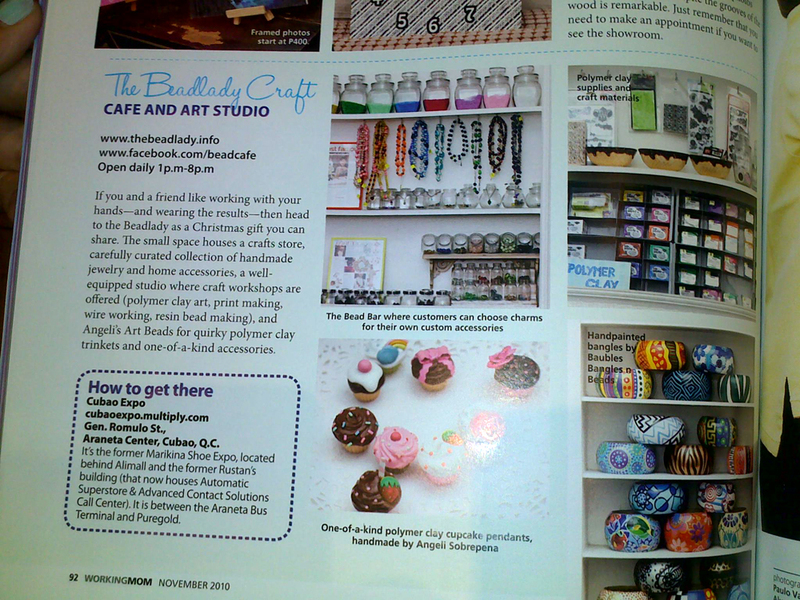 We're one of the Cubao Expo shops featured in the Merry Gift Guide. Yay! Thank you to the writer and photographer! If you want to see our previous magazine features, and other media mileage, please checkout the press page on the Beadlady website. 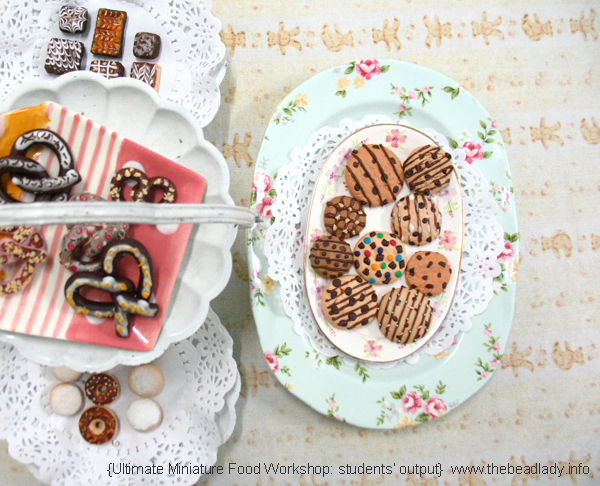 The recently concluded Ultimate Miniature Polymer Clay Food Workshop last Sunday produced these yummy treats, and a new batch of miniature artists. 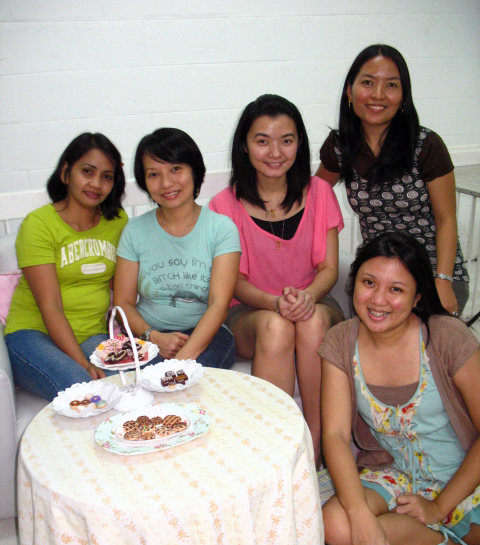 From L-R: Velrose, Isabel, Stephanie, and Donna. That's me sitting on the floor. 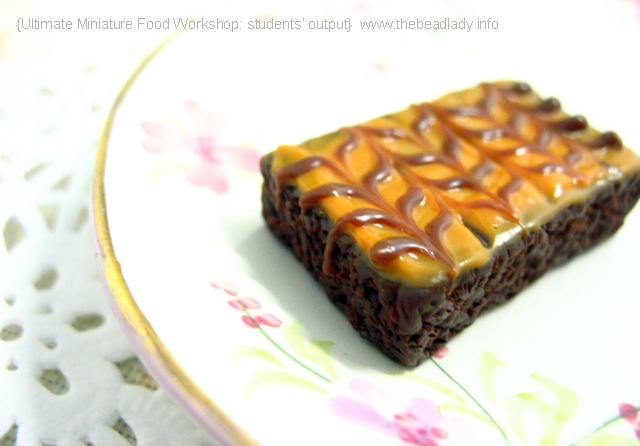 Allow me to be the proud teacher once again, and show you the scrumptious - but inedible! 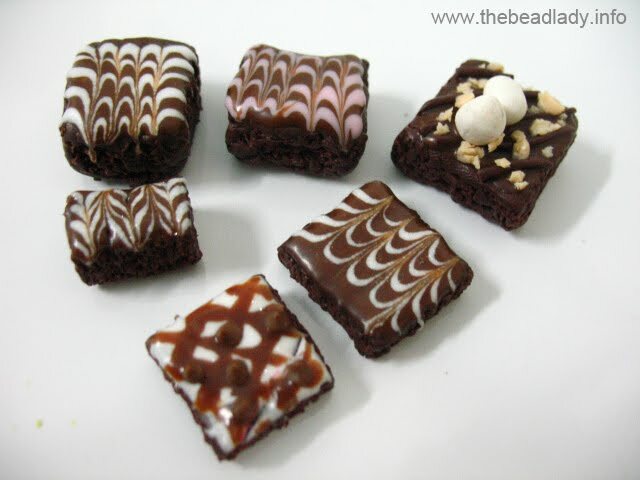 - sweets these ladies created. Mouth-watering brownies you can almost taste! 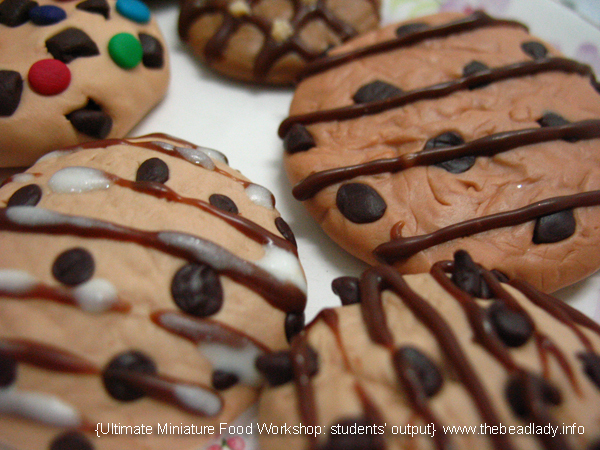 Life-size chocolate chip cookies that will bring out the cookie monster in you. 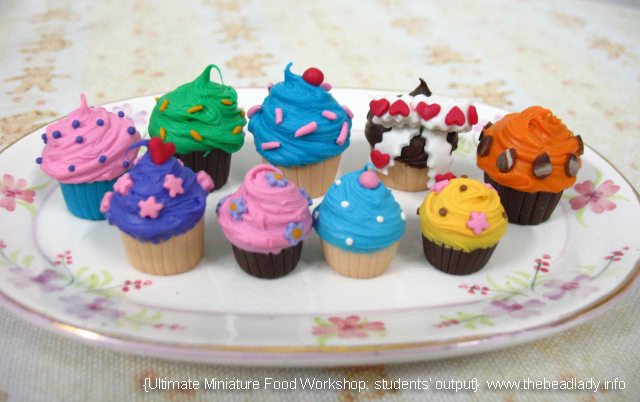 Sweet cupcakes with playful frosting and sprinkles. And a whole lot more! 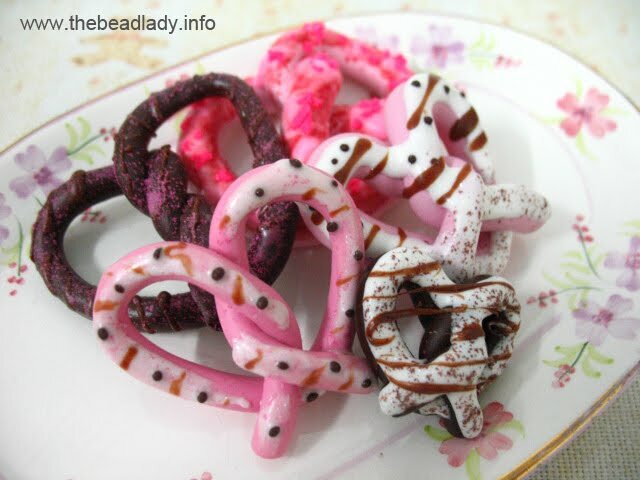 Want to learn how to create these yummy trinkets? Enroll in my workshops! 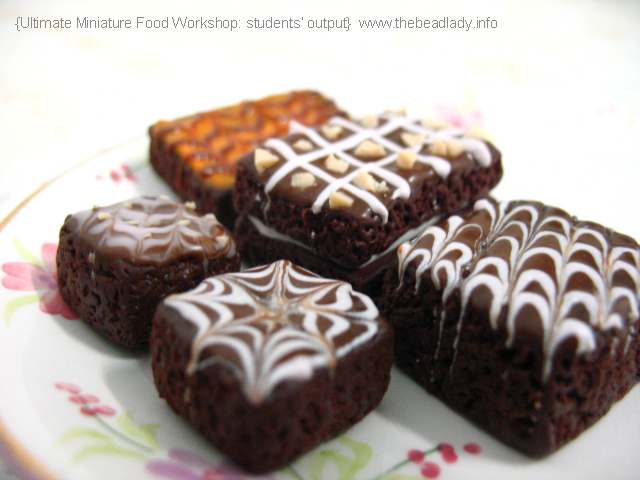 The Extensive Polymer Clay Workshop for Beginners is a prerequisite to this class. 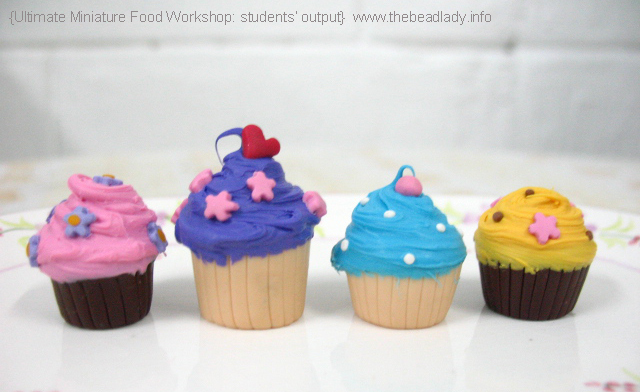 Visit my website to learn more about my polymer clay classes. I styled the photo on the upper right, with the ladder, pink stool, and robins egg blue wall. It originally appears on a DIY article I wrote about painting a room. I had no idea about the book, so it was a pleasant surprise! As I paid for it, still pretty pumped up with excitement, I wanted to tell the cashier, "I painted that wall, and that's my pink Ikea stool! ", but I didn't. I was able to collect myself and quietly pay for the item. Hehehe. It's my first cover okay? Allow me to gush about it here on my blog. I will try to be cooler next time, and try to act nonchalant. Lol. 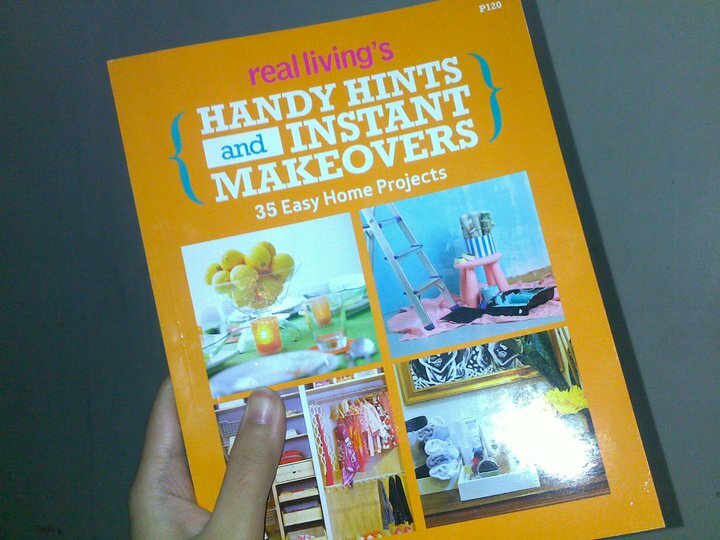 Handy Hints and Instant Makeovers was launched today at Robinsons Galleria. (But I didn't get to attend the launch because I was off dealing with a mini crisis at the bank. Long story, don't ask). Anyway, the book is chock-full of fun tips and lovely visuals, and for only Php120, it's quite a steal. I am not getting royalties or anything like that, so this is not a plug. :) Just wanted to share my first ever cover! I started putting up some Christmas cheer in the shop last week. I made Christmas tree cookies, peppermint candy, and candy canes out of polymer clay. I was singing carols the whole time I was creating them. Fa la la la la la la la! They were supposed to go by the window, but decided they would go better on the tree I bought yesterday. 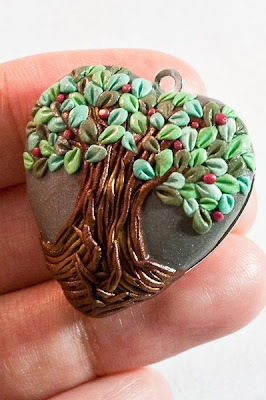 The tree is still bare, except for a few polymer clay sweets. I will try to post a pic when it's done. I fell in love with these cute ginger bread men above. They're made of ceramic, and are about 5 inches tall. I got them for a steal at a one-price store a few days ago. Can you guess how much? Just Php99 (about $2.25) for all three! 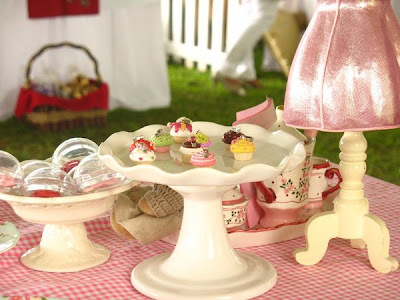 I'm using them as caddies/saucers on the gift table, to hold my trinkets for sale. The shop smells like Christmas too! Thanks to my favorite peppermint oil in the burner. I love this time of year! The article "How to join a bazaar" by Angeli Sobrepena is licensed under a Creative Commons Attribution-NonCommercial-NoDerivs 3.0 Unported License. 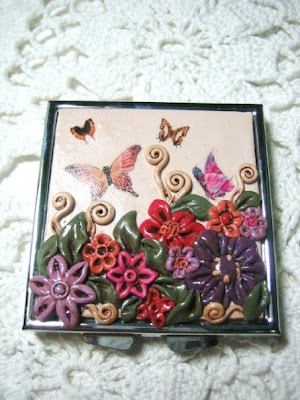 Based on a work at beadladyangeli.blogspot.com. Read Part 1 of the Bazaar Series here. When I started joining bazaars, I never thought of those expenses above, until I was computing for profits after the bazaar. Big mistake. That 13,000-a-weekend bazaar may actually cost you 14,500 or more. I have also joined bazaars that cost nothing at all! I have been lucky enough to be invited to about four or five bazaars where they charged me nothing - absolutely rent-free! But again, nothing is absolutely free - you still need to consider the expenses listed above. At one of the rent-free Christmas bazaars I was invited to. To keep your costs to a minimum, here are a few tips to keep in mind. 1. Share a booth with a friend. If the space is large enough to accommodate one more person, by all means get a partner! Choose someone whose products can complement your own work. Not only will this lessen your expenses, it will be fun selling alongside your friend too! I often share a booth with my friends from Baubles Bangles and Beads. They make handpainted bangles, bags, and shoes. It has always been super fun! 2. Choose a cheaper booth space in the same bazaar. Some bazaars offer different prices for different booth locations: regular slots are sometimes cheaper than corner slots. Booths outside are also a lot cheaper than the ones in the air conditioned areas. If you're ready to beat the heat of the outdoors and ride out the storms, go for the cheap outdoor booths. Be warned though: the intense heat can be gruelling, and the rain can damage your products! So choose wisely. 3. Go for alternative bazaars. Bazaars in upscale venues are understandably very expensive. But there are also cheaper bazaars outside malls or trade halls that offer good selling opportunities. Check out Sandy Allan's holiday bazaars at the Cubao Expo. Ate Sandy is the proprietor of The Reading room, my neighbor in Cubao Expo. 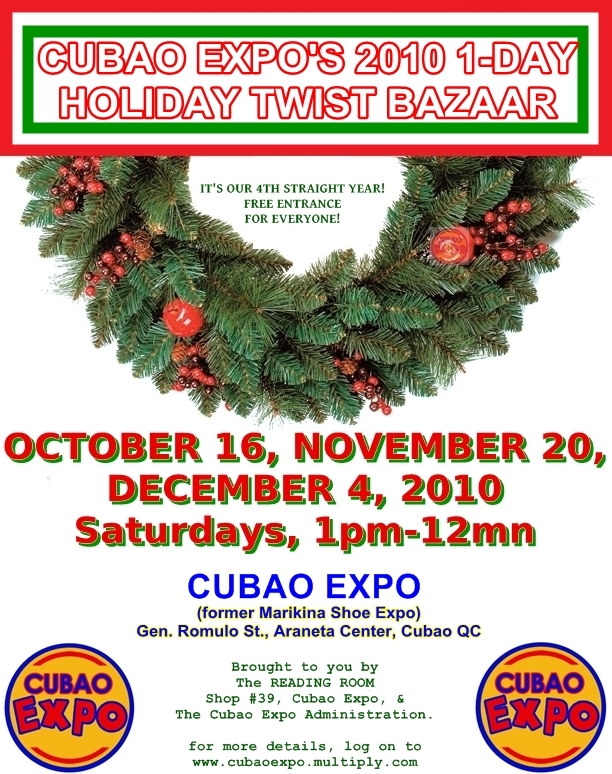 Now on it's 4th year, Ate Sandy's holiday bazaars have proven to be a success all around. The rental fees are really cheap, because the bazaar is non-profit - all the proceeds go to bazaar expenses. Try checking out other bazaars outside malls, like the St. James bazaar in Ayala Alabang Village (reservations start during the summer months, and all slots are usually sold out before the Ber months arrive). The rent in this bazaar is not cheap, but it's not as expensive as mall bazaars. I have always enjoyed good sales in the St. James bazaar, thanks to my good spot in the covered court. The key is in reserving for a slot really early. If you end up in the parking lot, where the aisles between the tables are really narrow, you're in trouble. Be careful when choosing bazaars though. Make like a sleuth and check the organizer's track record: what previous bazaars have they organized? Were those bazaars successful? Ask them about their marketing plans and efforts to publicize the event. A poorly publicized bazaar can mean zero customers! 4. Solicit help from friends and relatives. Instead of hiring help, try asking your friends if they can help you with the set up or the selling. Offer to make them a customized necklace or food in exchange. Teehee. Boyfriends work for free. LOL! 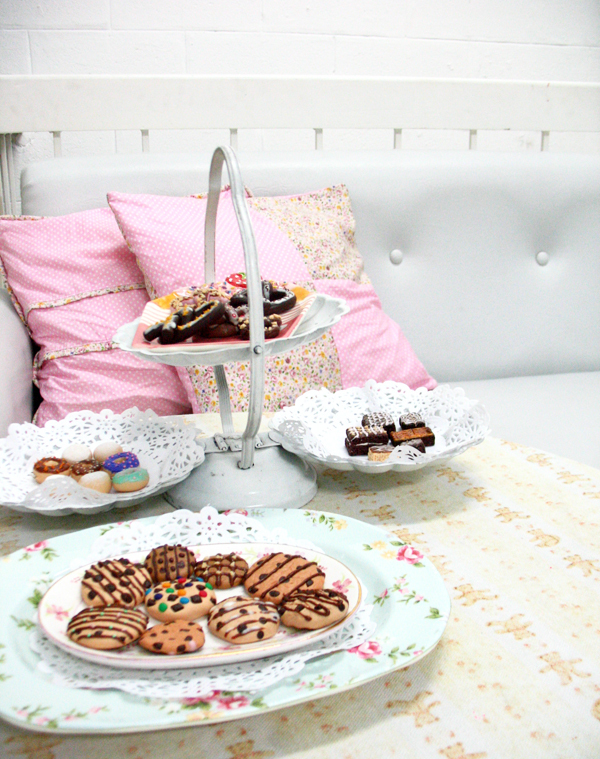 Instead of buying display paraphernalia, ask your mom if you can borrow her gorgeous antique side table. Just promise you won't scratch it! To factor in the costs of joining a bazaar, you can markup your product's price. 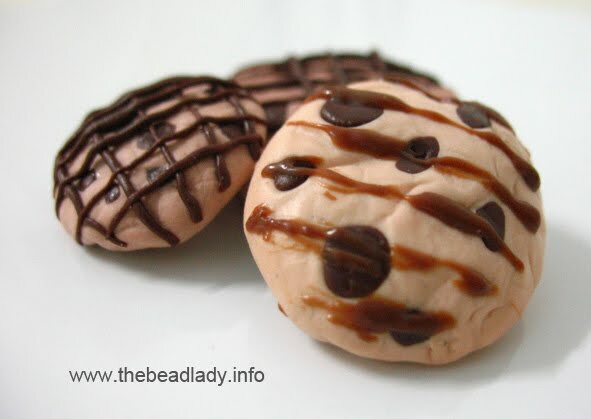 It's easy to markup if you make one-of-a-kind, handmade items - you can add a special twist to your product (a new scent to your polymer clay trinkets, perhaps?) and sell the special edition exclusively at the bazaar for a higher price. But others will argue that bazaars are supposedly where you can get a bargain. So if you do not want to markup, make up for it in sales volume (in other words, dami ng benta). You can sell your products at a lower price to attract more buyers. The limited edition miniature shoes I sold at Rockwell Urban Bazaar. In my experience though, going the special edition route translates to more sales. Customers appreciate a good buy - and that doesn't necessarily mean buying at a discounted price. By offering unusual products not found in malls, you remind customers that bazaars do not only mean good bargain buys, bazaars are also a good source of unique, hard-to-find items. But keep in mind that the bazaars I usually join are not tiangges where people expect a bargain - they are usually bazaars in upscale venues or those targeted towards a market that expects unusual and one-of-a-kind pieces. So also consider the bazaar's target market before joining one. Don't worry about recouping the expenses for bazaar paraphernalia all in one go. Take good care of your signages and props so you can use them again. This way, this expense gets divided into two (or more) bazaars. On the other hand, the stall rental fee should be recouped right away if your goal is to make a profit. If you joined the bazaar for marketing purposes and your sales weren't enough to offset the cost of joining the bazaar, chalk it up as marketing expenses for your business. Joining bazaars can make or break your business, so before making decisions, think about everything we discussed so far. I hope this new post has shared some insight in its own little way! If you have questions, post them in the comments section below, and I'll try to address them in future posts. Watch out for more Handmade Pilipinas posts! My custom polymer clay cupcake bakeshop is now ready to accept Christmas orders! I can only make 24 cupcakes (so 24 slots) this time. Order your batch early before I run out of "magic cupcake dough"! 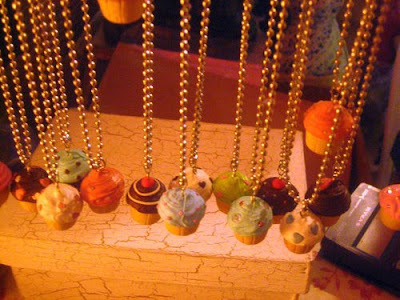 Each cupcake pendant remains at Php350 or $10. I accept Gcash or Paypal payments. Order your yummy polymer clay cupcake pendants through my website. The Ber months are here, and to us entrepreneurs, it means one thing: bazaar season has begun! Since I started selling my handmade work, I have joined more than twenty bazaars (or what you call fairs in the US). I'm lucky to have started the bazaar circuit at a young age - I was in my teens and still in college when I joined my first bazaar. Over the years, through many misadventures and little triumphs, I have amassed my own collection of bazaar tips and tricks. This new Handmade Pilipinas series is all about how to join a bazaar - the preparation, the to-do's and not-to-do's, and little tidbits on my bazaar experiences. In Part 1, I'll help you make a road map for yourself before you take the plunge and become a bazaarista. Before joining a bazaar, make sure that you have clear goals and a solid plan. It is easy to get lost in the excitement of the holiday rush. Before you know it, you've signed yourself up for too many bazaars for the season (that happened to me!) and you'll find yourself asking "Why did I get myself into this?". Before you end up joining a bazaar just because all the others have joined one and you don't want to be left out, ask yourself the following questions. Grab a pen and paper and jot down your answers. 1. Why do I want to join a bazaar? Do I want to introduce my brand to a wider audience (marketing)? Do I want to meet my customers and get firsthand information about how they like my products (market research)? Do I want to sell a certain number of products or earn a certain amount (profit)? Your answer to question number 1 is your goal. Refer to this goal when choosing a bazaar to join. Pretty happy with my sales. Post-bazaar note: After the event, you can evaluate the success of your bazaar venture by comparing it to this goal. If you joined the bazaar for marketing and you didn't sell enough to make a profit, but you gained lots of new customers that might make repeat orders in the future, then the bazaar was a success for you. If your goal was to make a profit, but you did not sell enough products and only broke even, then the event wasn't a success for you. Notice how I keep saying "for you"? This is because the results of a bazaar are different for each seller. You can be selling the same stuff as the lady in the other table, but it doesn't necessarily mean you'll both share the same results. 2. Do I have the capacity to join a bazaar? Do I have enough products to sell? How will I display my products? How am I going to transport my stocks and display paraphernalia? Do I have people who can help me man the table? Are you prepared for the deluge of customers? Issues on logistics can make or break your bazaar venture, so be sure you've got everything covered before you sign up for a bazaar. Remember that to make a profit, your inventory should be more than enough to cover all your costs, not just the stall rental fee. And when it comes to having someone help you man your table, just look at the photo above to see what I mean. 3. Am I ready for long hours? Am I ready to wake up really early and go home very late, for two to three days in a row? When you've been creating like crazy on the weeks leading to the bazaar, the long hours can be pretty taxing. Your answers to questions 2 and 3 refer to your readiness and dedication - two very important factors to consider. It takes a lot of hard work to join a bazaar. You need to start building your inventory weeks before the event. (But if you're like me who gets inspired under pressure, I create just days before the event. Which means sleepless nights and unnecessary stress.) On the day of the bazaar itself, you need to wake up at 4am in order to do ingress at 6am. You then need to man the booth for the duration of the bazaar, usually for 10 hours! This is when the frenzy happens: attending to customers, doing your sales pitch, computing and getting change, restocking your display, all the while making sure there is no theft happening. At closing time, if the bazaar is 2-3 days long, you need to secure your booth with a net after the last customer has left (if your organizer allows you to leave your stuff overnight). Repeat everything the next day. Now that you've asked yourself the right questions, you have a sneak peek at what it takes to become a bazaarista. With your answers as a guide, start making a bazaar battle plan. This way, you lessen your risks and improve your chances of success. What bazaars are you joining this season? Share in the comments section below! Watch out for the next Handmade Pilipinas post to learn more about how to join bazaars. The textures and colors look very realistic, don't you think? 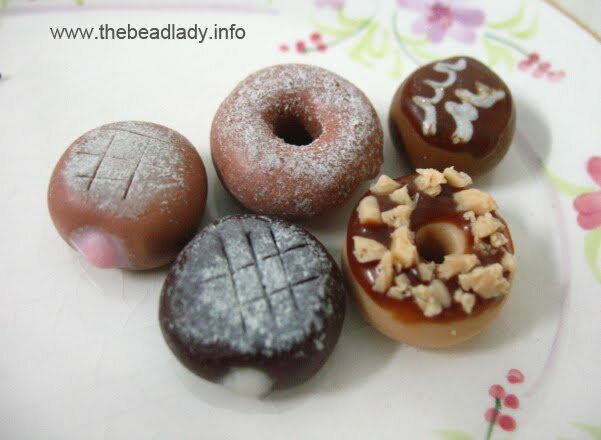 How about teeny, tiny donuts? Here's the definition of Ultimate Mini Food! Really tiny! "Donut ng manika ng manika ko." - Therry. Crazy! We also made lots of cupcakes and sweets on Day 1. Here are the ladies behind these delicious polymer clay charms (from L-R): Josele, Therry, Emily, and Donna (not in pic because she had to leave early). 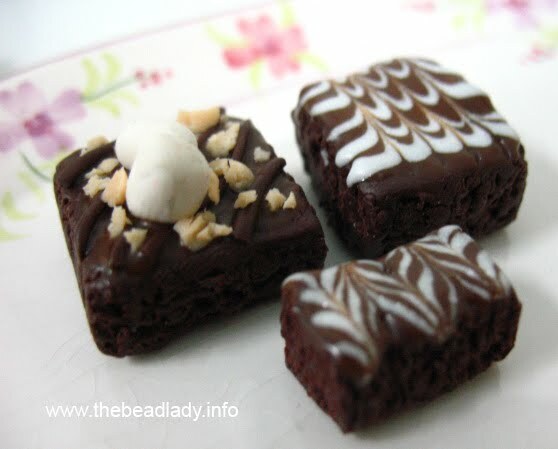 Keep creating yummy stuff! I was bed-ridden for two weeks, and stuck at home for three because I caught a nasty virus with symptoms that were a lot like dengue. It felt like I was asleep for most of September. I had to reschedule some workshops, which has never happened before. I couldn't be at a couple of editorial photoshoots for the store. I skipped dinner and drinks with some friends. I missed out on a lot last month. Sigh. But in some twisted way, doing nothing but nurse a fever has its perks. It gave me time to recharge and dream about new designs. If you can't sleep because you hurt all over, can't leave the bed because you're too weak to stand, or can't watch any more TV because you've practically seen every rerun at least twice, there's nothing else to do but lie awake and day dream. 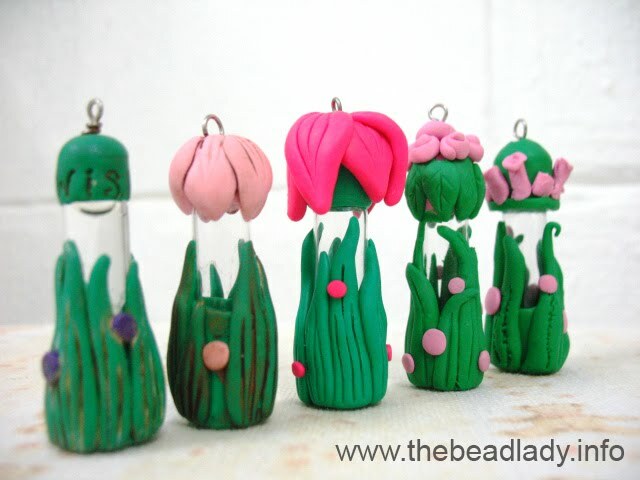 I've always wanted to make polymer clay-covered bottles. 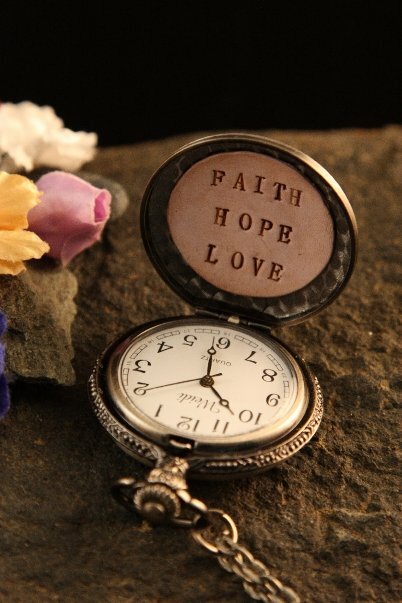 But the smallest ones I could find were too big or too fragile to be made into pendants. Then I remembered my Mom had a teeny tiny vial when I was a kid, so there must be a way! Light bulb moment! I wasn't sure if it was made of glass though. Can I cover something like it with polymer clay? I couldn't wait to try it out. Last week I finally got a stash of the tiniest glass bottles! 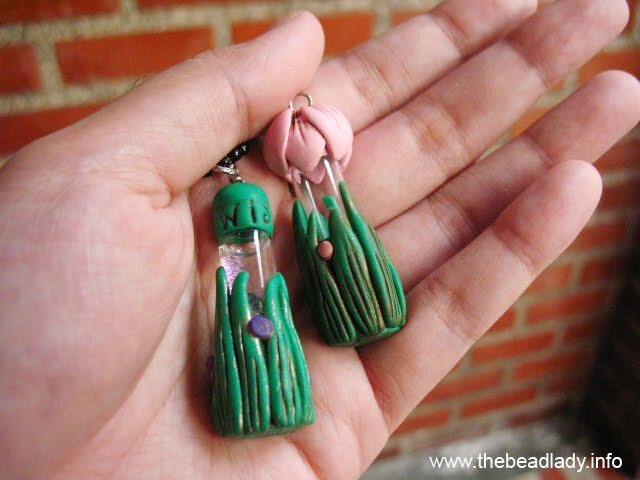 I tried out the project I had in mind before the weekend, and made whimsical pendants that remind me of fairies. I think I'll call them Wishing Bottles - they carry whispered wishes and day dreams. Don't they remind you of a family of fairies? I see pixies in my future! Please excuse this self-serving, shameless promotion: like my page on Facebook! :) This is where I post quick announcements about my work and the stuff happening in the craft store. Some people say I am lucky I don't have kids yet - I have all the time in the world to focus on my craft. 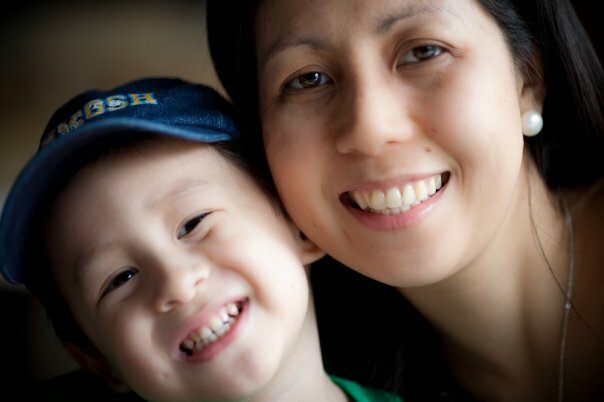 While that may be true, being a mom doesn't have to mean the end of your crafting days either. Allow me to introduce you to polymer clay artist Rocky Antonio, super mom and crafter extraordinaire (hehe). Rocky is a housewife and a hands-on mom to 3-year-old Liam, but that doesn't stop her from creating gorgeous works of art from polymer clay. When you see how intricate her work is, you can't help but wonder how she squeezes in all that creativity into her already busy schedule. What makes Rocky's work different from the rest is her clever combination of polymer clay with otherwise ordinary materials. 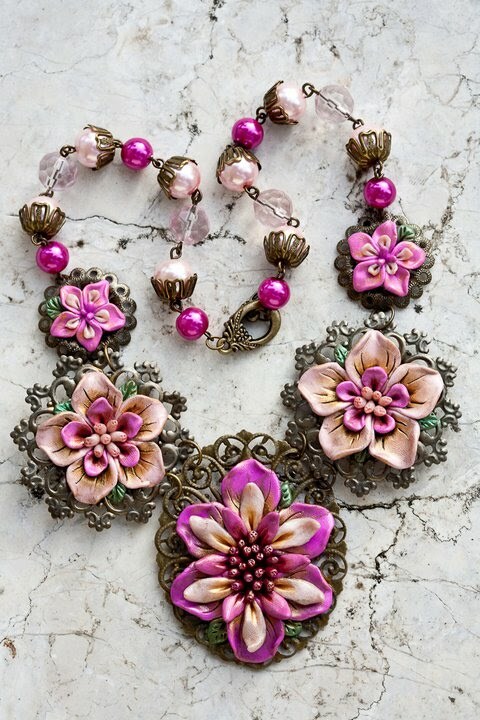 She transforms simple filigree components into surprisingly opulent bib necklaces. Her vintage-inspired jewelry, often featuring clay-covered lockets or embellished pocket watches, will make you dream about fairies in a secret garden. Customers have fallen in love with her signature theme of flowers and butterflies, either stamped or neatly photo-transferred onto the clay. It comes as no surprise that the international community has begun to notice her work. 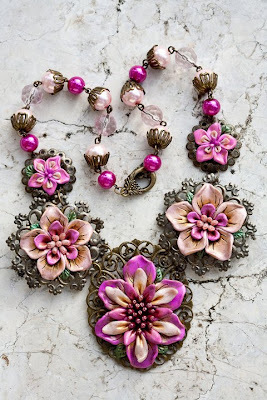 Her intricate rosette locket landed on Craft Gossip, and some of her jewelry was part of Tejae Floyde's book Polymer Clay Artists' Showcase. Like most of us, her love affair with accessories started with beads. Rockybeads, her eponymous online business, debuted on multiply.com in 2008 with simple beaded accessories. She later on found her signature style after discovering polymer clay. Before this interview, I had no idea Rocky discovered polymer clay through my multiply site. I am deeply honored to be part of her story. 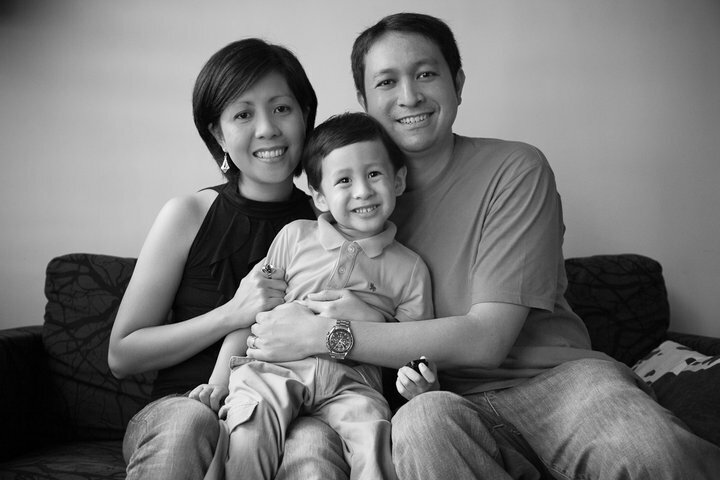 Read the interview below to get to know more about Rocky and how she successfully juggles her passion for crafts with her Mommy duties. Angeli: Please tell me about yourself. What course did you take in college? Any hobbies aside from crafting? 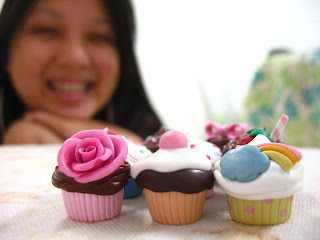 Angeli: How did you discover polymer clay? A: When and how did Rockybeads start? A: Let's talk about your handmade life. What is a typical day like for you? R: A typical day for me nowadays is very chaotic because Liam goes to school already. My day starts at 4am: hubby goes to work then I make some orders, update my online shop, check emails and blogs while Liam is still asleep. When he wakes up, it's all Liam and house work already, until he sleeps in the afternoon (sometimes he doesn’t! Haha!). If he doesn’t , he sleeps by 7 or 8 pm. When he’s knocked down already, I start working again. But sometimes I also get knocked down when i’m putting him to sleep (so tired from all the household work and keeping up with liam hehe) and i just wake up in the wee hours of the morning to make orders again. A: Being a hands-on mom, when and how do you find time to create? How many hours a day do you spend on your art? R: As for the designing, I constantly think about it even if i’m cooking, taking care of Liam or while waiting for him in school. So i think the answer to the question is..24 hours a day, 7 days a week! :) Seriously though, i only get to play with my clays and materials and really put the design i have in mind to work for about 3-4 hours a day but sometimes there are also days that the hands won’t just work. lol. R: Lots of things! Music, crafty blogs, works of other people, but most especially materials! For a design idea to hit me, i usually put my materials in front of me and see what i can do with them. A: Are there any polymer clay artists you admire? R: Yes! Foreign artists: Christi Friesen, Afsaneh Tajvidi (joojooland), Tejae Floyde, TreeWings studio, Block Party Press and lots more! 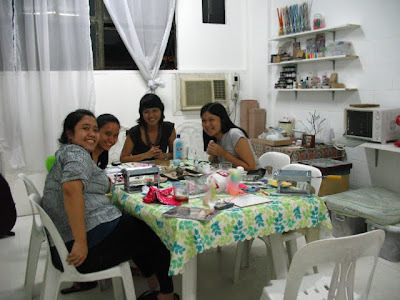 Local artists: Jen Cruz, Angeli Sobrepena, Gin Rose Caballero and Erose DeLa Rosa. R: I really just think of a design and then work on it. But sometimes i sketch so that i won’t forget. For mto’s, I usually sketch first for the client to check then if its a go, i start working on it. A: What is your favorite project? R: The Full of Roses Heart Locket, Bug Lockets, Bib Necklaces and the filigree necklaces. A: What polymer clay tools and materials are your favorite? A: Let's talk about the business-side of things. What are your typical customers like? Is there a certain demographic? R: Of course mostly women! I think i only had 3-4 male customers as for the age, i had students, mommies, grandmas etc..i think no specific age demographic. A: Your business is mostly focused on made-to-order or commissioned work. 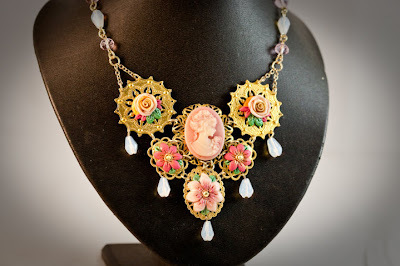 What are the advantages and disadvantages of making custom pieces? R: The advantage is you get to use your creativity a lot in coming up with a design that the customer will like. The disadvantage is if they don’t like the design that you made because, you have to do it all over again! This is where sketches come in handy! A: What is your favorite custom order? A: Have you encountered any bad experiences in business? How did you deal with it? A: What advice can you give to beginners starting out in the biz? R: Always strive to make designs that you can call your own. Find what you’re really good at and then develop it. Clients will always come back if they see pieces that are really unique and can’t be seen in other shops. All photos from Rocky Antonio. I hope everyone enjoyed this first edition of Handmade Confessions! Please post reactions below!